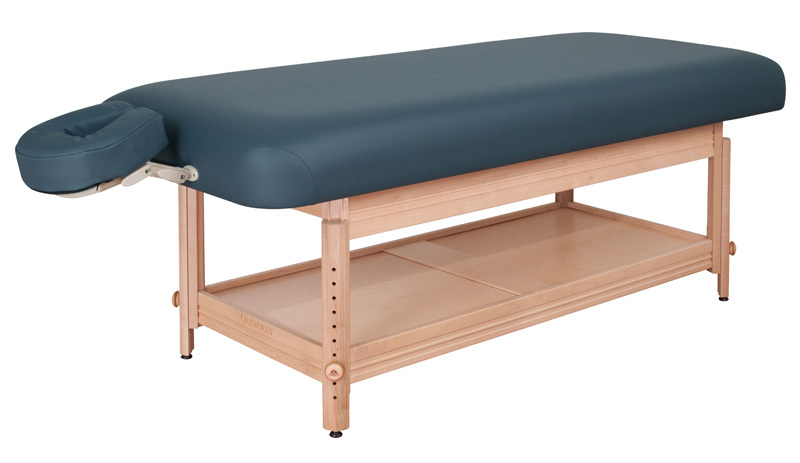 For an eco-friendly option, discover Oakworks' Classic Clinician Stationary Spa Massage Table from Massage Tools. This classic design easily adjusts manually without the use of electricity, limiting your carbon footprint. However, your clients won't even notice the difference because the massage table is that comfortable. Adjusting the height of the table is a snap and the interlock leg extension system assures stability. The table even offers an open shelf where you can store oils, towels, lotions and any other needed accessories. 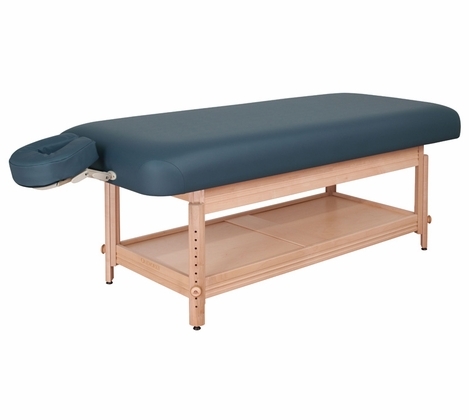 The Classic Clinician Stationary Spa Massage Table can also be easily upgraded to include a cabinet. You will love the time-tested simplicity of this table that will give you years of use at a fabulously affordable price. wonderful bed, recommend getting the upgraded padding as it is well worth the upgrade price. This is a beautiful bed and my salesperson Christian was amazingly helpful. The cabinet doors came warped and stick and fall off. Christian is looking into getting them replaced for me. Merchant Response:replacement doors have since been sent by Oakworks. Thanks for the feedback!